From the moment I wake up to the moment my head hits the pillow at night, I’m thinking about social media. To some, social media is simply a buzzword, but to us (marketers) it’s a way to define a brand, to make someone laugh, to connect people and businesses and most importantly, it sells stuff. Regardless of my opinions on the effectiveness of social media, my clients do not always share my perspective right away. For those of us who live and breathe social, however, it can be a challenge to work with skeptical clients and stakeholders. “What is the R.O.I., of social media?” is a question we hear a lot from potential and current clients. While I understand the value of it, it can be difficult to explain to a client who is expecting to see immediate results. Being able to effectively communicate your passion and proven success is crucial to obtaining new clients and nurturing current client relationships. When I’m met with the tough question of “why should we be on social media?” besides laughing, this is exactly what I do. There is likely a lack of knowledge on the client’s side about the basic principles of modern digital marketing and what it is that we actually do. Many clients know they need us, but they aren’t sure why. The first step to ensuring your client understands what you’re working on is through educating them about how marketing works. Marketing is all about having as many touch points available as possible, so when the prospective customer is ready to make a purchase, your product or service is front and centre. 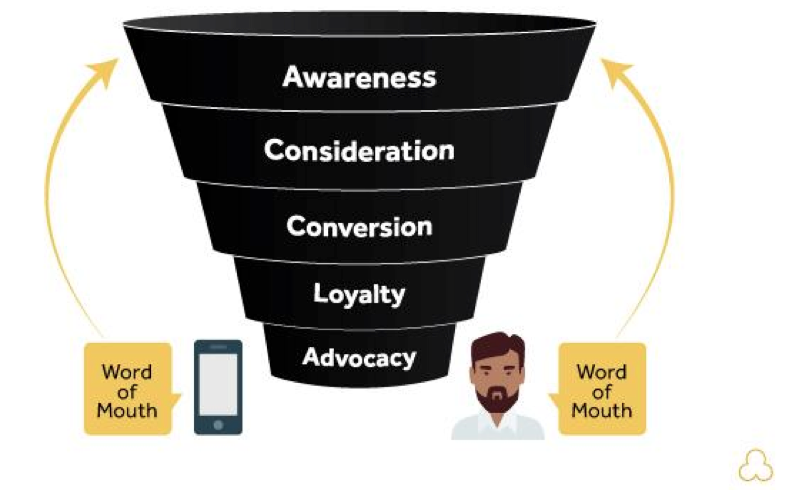 One of the central concepts of marketing is the funnel, which is the process in which a prospective customer is taken through awareness, consideration and ultimately (if all goes well), making the final purchase. This is just as it sounds, a process that takes time and doesn’t just happen overnight. This is the point at which a prospective customer has seen your marketing efforts (magazine ad, tweet, commercial, blog post, billboard ad) or heard about your brand and initially becomes aware that the product/service exists. This stage in the process is when the prospective customer is getting ready to make a purchase decision and starts looking for the best product/service to fulfill their needs and desires. It’s at this stage where customers are shopping around and looking at what options are available to them. The conversion stage is when the prospective customer moves from consideration to being a paying customer. When a customer crosses over into the loyalty stage, they have been using your product/service for awhile and have fallen in love with it, they become loyal and will only purchase a specific product. Advocates are the customers who love your product/service so much; they start telling all their friends, which moves more people into the awareness stage, starting the entire process once again. Social media has completely changed the way consumers move through this funneling system. It has the ability to take prospective customers from awareness straight to advocacy, or even allows us to bring customers in somewhere in the middle, skipping phases altogether. Social media allows you to bring customers into the purchase funnel process in a multitude of ways. One example of an opportunity that complicates the traditional funnel model is an unsolicited brand mention. 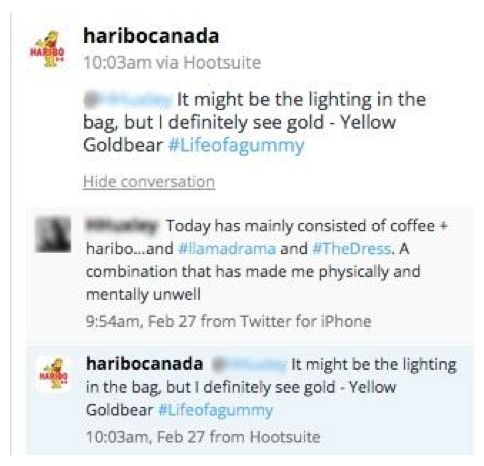 Using tools like Hootsuite Pro for business, allows agencies to monitor brand mentions of keywords their target market may be using. By engaging with those users in an authentic way, you have the power, as a brand, to develop a relationship with that customer. In some instances, engagement can also even lead to a prospective customer going from awareness straight to advocacy as they develop a relationship with the brand through ongoing engagement. That prospective client may have never purchased from you, but they have engaged with you, like the brand, and are starting to regularly share your brand posts with their friends and followers. This immediately brings more visibility to the brand and takes more people to the awareness stage in the sales funnel. 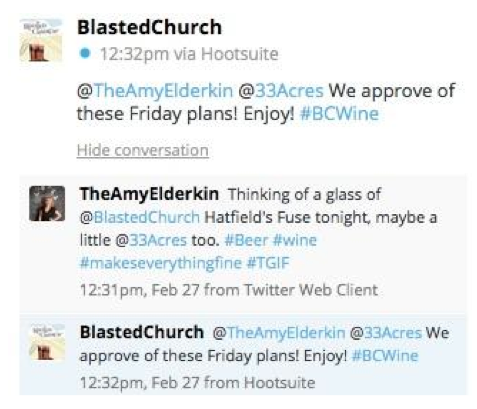 Another example of interrupting the funnel is by using Hootsuite to monitor mentions of your client’s brand. When someone is considering your client’s product vs. a competitor Hootsuite’s keyword streams can allow you to see any mentions of your client’s brand, and jump in to offer advice that may sway them to purchasing your product over your competitors. Without a good understanding of the marketing process and how social media works within it, your client won’t have the confidence to put budget towards digital marketing, or any marketing for that matter. Measuring online success and growth is one of the keys to a successful social media strategy, as most marketing professionals understand. However, key metrics that you think are valuable may not be what your client is looking for. Understanding your client’s goals and Key Performance Indicators (KPI’s) will ensure that the information you’re giving them is what they want to hear. How many people you’re following vs. how many people are following your client. How many of these followers are actually engaging with your client? Showing the likes on posts, comments, Retweets, favourites and shares are the best indicators of this. Having the ability to analyze these numbers will also prove that the work you’re doing is working, what posts are performing best, and what types of content you should be producing in the future. How many people are being exposed to the content? What percentage of that is paid vs. unpaid? While engagement, reach and followers are important, are they falling within your target demographic? Showing analytics around demographic will be a great performance indicator that your client may not know to ask for. It’s an easy way to find out more about your current and prospective customers. 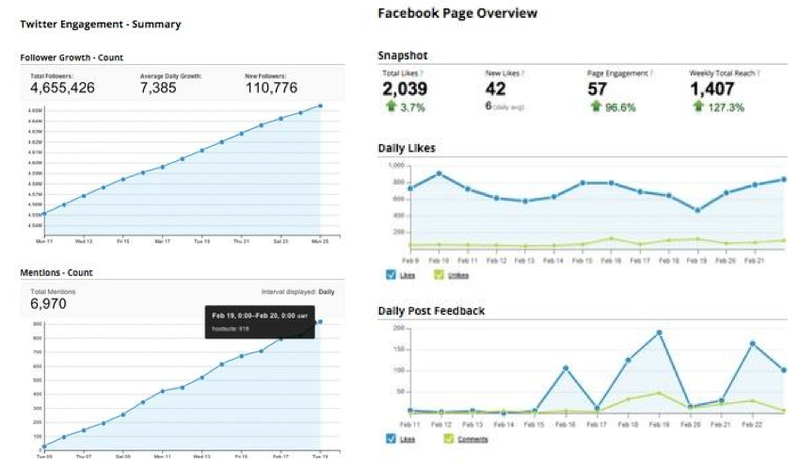 I use Hootsuite analytics because it’s fully integrated with Facebook, Twitter and Google+ and Linkedin, giving me accurate and detailed reporting on all of these stats. It’s not always just about the number of followers and likes on Facebook posts; your client may be more interested in seeing how social media will increase visits and conversations on their website. Hootsuite offers Google Analytics integration, which allows you to produce a detailed metrics report, without leaving the Hootsuite dashboard. Giving your client real examples of issues that were solved over social media, can be just as powerful as sales numbers. Social media is a powerful tool for increasing customer satisfaction, as it allows us to not only have conversations with the customers who reach out to us, but through Hootsuite’s great social media listening capabilities, it also allows us to reach out to customers who may not have directly mentioned the brand, but mentioned a brand’s product or services. It gives us the ability to say thank you to new customers, or handle customer complaints in a timely manner. If customer service is a priority for your client, it’s important you bring up these important features. 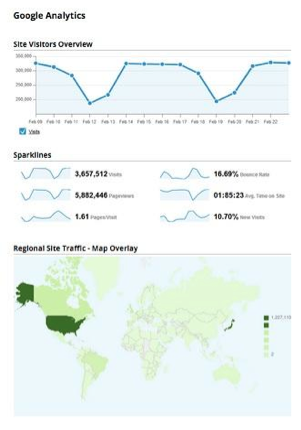 Hootsuite has some great blog posts on social media analytics and how to best take advantage based on your specific needs. If your client is still not convinced, show them how some of their key competitors are playing in the area of social media. Showcasing a few samples of successes within their industry is a really great way of hitting the message home. Examples of great work are visual samples of possibilities for your client’s brand and can help get them excited about what’s to come by working with your agency. Having case studies ready to go for these instances, can really save you time. It’s important to show examples that are relevant to your client’s measure of success. Remember, this may be different from your own, so keep that in mind before you source your examples. After all is said and done, the number one way to make anyone else believe in what you’re selling is by being passionate and believing in it yourself. If you can showcase the love you have for what you do, it’s a lot easier to get your client onboard. It’s vital that you ensure you’re in front of the ones making the decisions, rather than their management team to truly make an impact and move your own sales process from awareness to conversion. At the end of all of these steps, you should leave your client feeling confident about the capabilities and importance of social media marketing and be able to help your client achieve success online! What challenges do you face as a digital marketing agency? I would love to hear your questions and comments below! Entrepreneur, speaker, social marketer & change leader. Lover of healthy living, wine & travel. Blogs @VIAwesome & Co-Founder @GoPopcorn.